It’s never about ending up together. It’s about loving wholeheartedly and about hoping to love the same way again. You can still love as much, but this time, with the right person. Your teeth can fall off and you can still smile. You see, romance does not define happiness, and definitely not love. 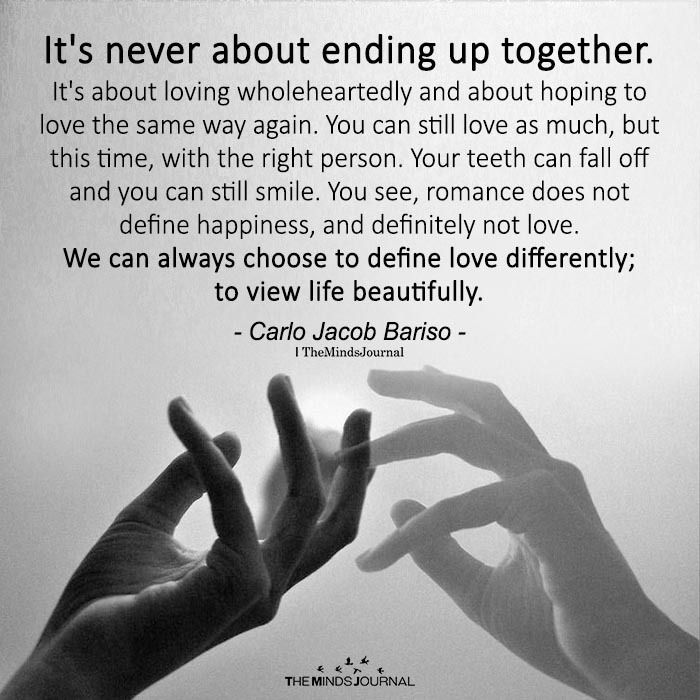 We can always choose to define love differently; to view life beautifully.